Arkansas students and teachers have a host of online resources from Britannica Digital Learning to support the Common Core State Standards and classroom work for every grade, courtesy of the Arkansas Department of Education. Under a new and expanded initiative by the department, public schools, teachers and students across the state—as well as their families—have unlimited access to the full suite of Britannica’s educational products for grades preK-12. 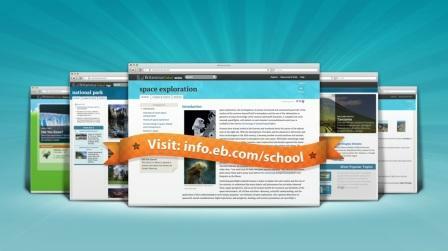 • Britannica School, the award-winning classroom information solution designed for differentiated instruction. Britannica School recently won the prestigious Golden Lamp Award, the highest honor for an educational product given by the Association of American Publishers. • Pathways: Science: An inquiry-based, collaborative classroom program designed to overcome scientific misconceptions. The product recently won the Teachers’ Choice Award for the Classroom. • Britannica E-books: engaging, versatile, high-quality non-fiction titles focused on the STEM areas of science, technology, engineering and mathematics. • Image Quest: Millions of easy-to-use, high-quality images from more than 50 collections, including Dorling Kindersley, Getty and National Geographic. Images are rights-cleared for educational use, so students and teachers are free to use them for school projects. Image Quest has won the Distinguished Achievement Award from the Association of American Publishers. • SmartMath Practice: a fun and adaptive math practice program for grades K-8. This product also just won the Teachers’ Choice Award for the Classroom. The Britannica products can be accessed from mobile devices, such as tablets and smart phones, as well as personal computers. They’re designed to promote academic success and have a wide range of uses in the classroom, in the library or media center and at home. The online services are available not only in school, but at home or with an Internet-connected device 24/7. Arkansas teachers and parents interested in access to Britannica products at home can use their school’s Britannica password, which they can obtain from the school librarian, or Britannica technical support at edsupport(at)eb(dot)com or (800) 621-3900, ext. 7160. More information about these and other Britannica products is available at http://info.eb.com.